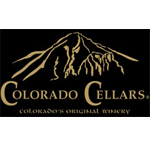 We are Colorado’s Original Winery – the first to make and sell wine from Colorado-grown grapes and fruit under our Colorado Mountain Vineyards label. Since 1978 we have pioneered every type of wine made in Colorado today – varietal grape wines, fruit wines, port wines, champagne and meads – and the introduction of our humorous label wine, Roadkill Red, in 1990 created a whole new category of wines nationwide…Sweet Red ‘Fine Wines’. Current sole owners Richard and Padte Turley bought out the last of the other 12 original investors in 1989, and with Colorado’s first female Winemaker Padte Turley at the helm we have won over a thousand winemaking awards since then. The Winery has grown tremendously, building from the minimal original equipment purchased from the defunct Ivancie garage winery to a world class facility which was recently picked by Wine Business Monthly as one of “America’s Largest Independent Wineries”. The Winery’s location overlooking the entire Grand Valley includes the last of the original ‘Colorado State University Four Corners Project’s’ test plot vineyards – producing Merlot and Cabernet Sauvignon grapes for the Winery’s use to this day! As a true family run business we are unique amongst Colorado wineries in that we are – and have always been – exclusively in the wine business…no second jobs, second incomes, or second careers! Winemaking here is truly a way of life! I-70 Exit 37, Hwy 141 south to C 1/2 Rd, east 5.6 miles.